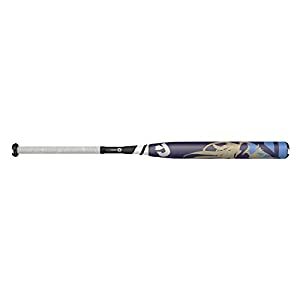 Buying a best fastpitch softball bat to win your softball game these days have to be overload and time-consuming task. Instead, you can simply get informed on the bats’ features, factors, and types that will eventually lead to choosing the correct bat for yourself or your kids. In case you are wondering where you can get all those information, don’t panic and relax because we’ve got that covered for you. Your task is only to read the article and then to decide whether you are going to need composite or aluminum bat, or the one that has extended barrel. Here is a comprehensive guide to the best fastpitch softball bats available for this year 2017. This article includes rankings and reviews for the best bats for the variety of players including slappers and power hitters. 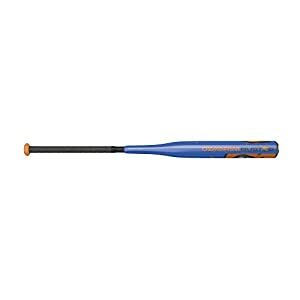 Whether you are looking for youth bats, you are on a budget or you are facing difficulties in choosing the best bat in town, we have solutions to all your fastpitch bat problems. Let’s give a look on top 10 fastpitch softball bats for 2017. 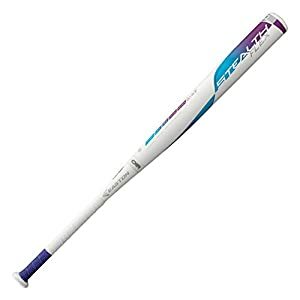 Now that you know all the necessary factors that you should remember while purchasing the best fastpitch softball bats, here are the top 10 best fastpitch softball bats currently sold in the market. For your convenience, we have reviewed each of these ten bats along with their pros, cons. Using the following information, you can also compare and contrast these bats in order to select the best one for yourself. Are you ready for a faster swing? Well, I hope you are because here we have an amazing Louisville Slugger’s bat-improved and perfectly balanced. With improved TRU3 3-piece construction, durability is increased while the vibration is significantly reduced so you’ll enjoy the feel. Without that stinging feeling, you will get a boost of confidence because it will be a lot easier to control the bat. The players choose this bat because of its special feature: a remarkable PBF Barrel technology that maximizes the trampoline effect and gives a larger sweet spot thus improves both the flexibility and the swing speed. What players also love is the added pop off the bat that greatly contributes to a better performance of the bat. We want to mention that although it has 100% composite construction, this bat doesn’t require any break-in period, so grab your bat and try it out right away. Some players aren’t quite satisfied with the grip’s quality. Although we can expect only the best from Louisville Slugger’s, this bat has definitely exceeded our expectations. Its 2-piece construction provides a stiffer feel which means you get a better energy transfer. This model has an aluminum inner disc which results in a barrel that is more flexible. Being balanced makes it perfect for the players that aren’t so experienced because they can manipulate bat in an easy way. What makes this barrel stands out are added layers that provide more strength while at the same time the thickness of the barrel wall is decreased. In case you are little confused with the explanation above, let me put it this way: each time you hit the ball you get a better “pop” and lighter swing since the features above provide the better performance of the bat. So, no more waiting for a perfect swing to happen, it’s time for you to get your performance to another level and to make that perfect swing. With 2-piece construction, energy transfer is increased. Because of the aluminum, inner disk called S1iD Technology â€" the bat has a larger sweet spot and very flexible barrel. The bat is a better choice for beginners rather than for professional players. It can be said that this Easton Flex bat is a true masterpiece. The players around the world are truly amazed at its performance. There are lots of features that make this bat so amazing, that we don’t even know where to start. The feature that definitely separates this bat from the previous ones is 15% more barrel compression for an outstanding performance so it’s time for you to hit the ball confidently. TCT™ Thermo Composite Technology provides a massive sweet spot which means massive hitting space. Since this bat is evenly balanced, the swing speed is faster. Believe it or not, with this bat, you will swing like never before! Another great feature is CXN ZERO™ technology that gives zero vibration because the barrel is connected to the ultra-thin handle. The one thing is certain: you will have the control over this bat. So, with this bat, you get a better feel, an increased swing speed, more control and thus an outstanding performance. What more can you ask for? The stronger foundation equals better performance. That being said, Easton definitely knows how to combine the best materials and design in order to create a durable and powerful bat. All the features of this bat lead to having more control and more power which naturally lead you to hit those home runs. The first feature of this Easton Stealth bat is strengthened composite structure thanks to the CNTA Carbon Nanotube Technology. That gives your bat an increased durability. The feature that puts the swing speed at the maximum level would be an evenly balanced bat (the weight spread even along its length). This bat has an amazing Focus Flex Handle Technology which will increase your power, since the handle is, obviously, more flexible therefore you can control it pretty easy. If you want a comfortable bat, this one is perfect for you, because it has tapered handle with cushioned grip. So, we can freely say that this bat is constructed in a way that increases swing speed and performance drastically providing the amazing comfort. It is true that dedication and consistency will take your game to another level. But, you can’t get to another level without having a bat that will keep up with your tempo and helps in maximizing your effort and performance. So, we have the perfect bat that will give you all you are looking for. CXN ZERO ConneXion technology provides zero vibration so no more trouble with that vibrant, uncomfortable feel. Because of the -12 Hyperlite barrel design, you’ll get a greater swing speed. So all you have to do is to swing your best and the results will be amazing. The ultra-thin handle with 1.2mm HYPERSKIN grip will give young players stability and comfort they need in order to become more confident. Being evenly balanced and without vibration which results in better control over the bat, this is the perfect choice for younger players to help them in improving their performance. Once again, DeMarini proves its place in a world of softball. The reason why all the attention goes to this “monster” is because it’s the most balanced bat on the market. This bat is the first choice to many colleges and players because although being the lightest one, it doesn’t lack any power. Comparing to the previous models, this bat offers 22% stronger carbon fibers for more accurate weight distribution which makes it the lightest swinging bat. 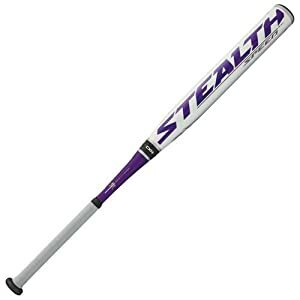 With a D-fusion handle, the bat will stay firmly in your hands while it directs all the energy for a trampoline-like feel. The final result is more powerful pop and a complete control over the bat. Once you get along with this lightweight bat, you will give your best performance. So, we can say that this DeMarini CF9 is certainly a confidence-builder. DeMarini definitely knows how to surprise players every time and how to use creativity to take bats and the game on another level. Here we have a 2-piece design bat with the -13 length to weight ratio. The -13 drop offers an increased bat speed, so prepare yourself for the even faster swing. The 2-piece design gives the most flexible feel. Like the other bats that we described, this one is also balanced which means it’s easy to control. The Fiber Reinforced Composite (FRC) handle will eliminate the sting and harsh feel thus improving the swing. Because of DX1 Alloy, this bat has both durability and reliability. In case you need more information, we haven’t finished yet. A great feature is Hybrid Comfort Grip that makes sure the players get the maximum comfort while hitting the ball. Last but not least, Half & Half Technology provides amazing flex before impact. You must be overwhelmed with all those amazing features, so below we will sum up what you get with this bat. Although this bat is durable, the bats made from aluminum are always less durable than the composite ones. Here we have Vendetta-a bat designed for responsiveness and power. Half and Half Technology provides an optimal balance. Thanks to that feature, the players will be able to swing with less effort and to swing faster. A 2-piece design will give you better control and more flexibility. Paradox™ Composite Barrel enable barrel for a better performance that is more responsive and softer. D-Lite™ Handle helps in eliminating vibration thus provide a smooth feel. With this bat, you will love hitting the ball. The Slapper is the perfect choice for those left-handed hitters. Like other CF9 models, this bat also comes with 22% stronger carbon fibers which mean you get the lightest swinging bat. What is special about this bat is its extended 14 Inch Barrel length for maximum plate coverage. Also, the barrel is weighted more to the hands for better manipulation. D-Fusion 2.0 Handle will provide the maximum comfort and the best energy transfer into the barrel. So, you if you want the lightest swinging bat that will give you control, power and comfort this model would be great for you. Like the name suggest, here we have the bat that is insanely powerful. This one is made for power hitters which means you will need a lot of confidence to play with this beauty. Because of 22% stronger carbon fibers that allow for more accurate weight distribution, we get the lightest bat. D-Fusion 2.0 Handle will redirect energy into the barrel and eliminate vibration so that feature helps in bringing the performance to the maximum. If you are ready to take your power to the next level, this more responsive barrel and the massive sweet spot will enable you that. This beauty has all that players need: power, control, and comfort. With this bat, there is no joking around. The bat is recommended for power hitters, so the inexperienced players might want to buy another type. There are countless brands out there selling high quality fastpitch softball bats. Enlisted below are the best amongst the best that is the top 4 softball bat brands. These include Easton, Louisville Slugger, Worth and DeMarini. These brands never fail to meet the expectations of their customers especially in terms of performance and durability. A little information about each one of these top brands is provided below. Being the leading baseball and softball equipment manufacturers, Easton takes the credit of producing some of the best fastpitch softball bats. The priority of the company is to launch innovative and game changing equipment. It is due to their R&D that Easton is crowned to have introduced the first true aluminum bat in the year 1972. Top players around the world use Easton fastpitch softball bats. Their latest batting line known as the power brigade includes some of the amazing bats including MAKO Torq. Easton’s one-piece hockey sticks namely Easton stealth and Easton synergy are by far one of the best hockey sticks available in the market. Louisville slugger has a long history of producing high quality and state-of-the-art baseball and softball equipment. The company is successfully running for the past 130 years and till date it is able to retain the crown of being one of the most innovative organizations out there. 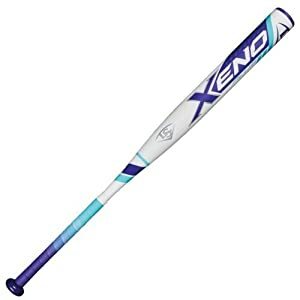 Louisville Slugger XENO and LXT series bats gained a lot of fame in the fastpitch world and are currently amongst the highly recommended bats for the game. These bats are known for their high performance. They have many patented and patent pending technologies for their bats including the TRU3 connection and S1iD inner barrel technology. Worth sports is a Canadian Brand that is renowned for producing state-of-the-art fastpitch, slowpitch softball and baseball equipment. Their faspitch bat lineup includes bats for beginners as well as for professionals. Their trademark LegitTM alloy one-piece bats are great for learners. The newest additions to their LegitTM series are 4 Piece Double Barrel Fastpitch Bats that one of a kind. With these bats, Worth wishes to take the performance to a whole new level. Worth fastpitch bats have a lot of pop and a great feel to them. However, some of their bats have durability issues which makes them lag behind others. A bit of effort and concentration on the quality of the bats would surely do wonders for the company. Last but not least, DeMarini is one of the top 4 fastpitch softball brands. With its revolutionary technologies, DeMarini is giving a tough time to its competitors. DeMarini Sports Inc. began its journey in 1992 under the amazing supervision of Ray DeMarini. Company takes pride in introducing some of the finest bats to the faspitch softball world including the world’s first multi-wall bat in 1993. Countless technologies are combined together to form DeMarini fastpitch softball bats. Their CF8 and CF7 series bats are amongst the most famous fastpitch bats. At DeMarini, each bat is produced with extra care that is why players not only love their bats but highly recommend them to others as well. Now that you know all about the famous fastpitch softball brands, you should now concentrate on finding all of them at one place. Don’t worry, we have this covered in our guide as well! So, the first step in winning those home runs is choosing a correct bat for you or your little ones. Obviously, to do that, you should be familiar with some features and factors that will help you with choosing the most suitable bat according to your needs. Before explaining what you should focus on when looking for the right bat, we want to point out what you shouldn’t focus on. The most common mistakes that people look after when buying the bat are that they choose a bat either according to its color or according to the bat that their friend has. Yes, we get that color really looks cool and that your daughter really loves pink, but, no, you shouldn’t choose a bat according to that feature. Needless to say, your friend’s needs, weight, and height aren’t the same as yours, so forget about choosing the same bat because your friend has it. So, the color can be great and maybe you want to have the same as your friend, but it’s really the bat’s performance that matters and you should concentrate on features that contribute to its better performance. Those features are the drop, the barrel length, and the sweet spot. The barrel would be the part of the bat meant for hitting the ball. The Fastpitch Softball bats have a 2 ¼” barrel diameter. The sweet spot is basically a hitting surface and the larger, the better. Besides those features, when buying a bat, you should consider the following factors: measurement, weight, the handle, and type, all of which will be explained bellow. Measurement of the bat shouldn’t be underestimated since it will have a great influence on your playing. So, make sure to choose the bat that is neither too large nor too small comparing to your height. Another point to remember is to choose it according to the age suitable for you. The weight of the bat is a pretty important factor since it contributes to both bat’s performance and your game. Although there are lighter and heavier bats, the most common weights are those from 26 to 30 ounces. Whichever you choose, choose it according to your weight. You can’t give your best if you can’t handle your bat’s weight. So, whether you chose the lighter or the heavier, you have to be able to control it completely. In my opinion, the handle should get more attention, since players somehow keep forgetting about its significance when choosing the bat. The comfort matters, especially when you play regularly. Believe me, you don’t want an uncomfortable handle which will distract you in the game and keep you from reaching your best results. In other words, you should consider buying the bat with a well-shaped handle so you can get all the comfort and ease you need. We know that choosing the right type of the bat isn’t an easy task. Therefore we wanted to help you by giving you the list of both the advantages and the disadvantages of the different types of bats, so you can get a better understand of what your needs are. Although fastpitch softball bats are made from various materials such as wood, metal, composite, aluminum, the most common are the ones that are made from composite and aluminum. The players choose them according to what they want out of their bats; whether they want a lighter or a heavier one, whether they want an increased speed or an increased power. So, here is a brief explanation on both of the types regarding their advantages and disadvantages. Composite bats are made from carbon fibers and graphite. In other words, these materials provide minimized vibration and reduced stinging feeling, which players often experience during the game. Composite bats can help in achieving a greater trampoline effect. However, the features that players love are a flexible handle, a larger barrel, and a larger sweet spot. All of that lead to having a better feel and more power for producing better swings. These bats are made from one or two pieces of aluminum or aluminum alloy, the 2-piece being stronger and more durable. According to the players who choose this type over others, the aluminum bats tend to maximize the trampoline effect. They are easier to use and to control (because of the weight distribution that is even) which is why they are commonly used by younger players. However, when compared to the composite bats, the aluminum ones have less durability. These bats are the best ones for the players. Obviously, a balanced bat means that weight is evenly spread throughout the bat. They are suitable for new players because they can be controlled easily and they are easy to swing. Although they will provide great speed, with the balanced bat you can’t hit the ball hard like you can with end loaded ones. The professional players prefer this type of bats. Like the name suggests, these bats tend to have extra weight at the end of the bat, which means they have more weight comparing to the balanced bats. Naturally, because of the extra weight, they aren’t easy to control. Therefore, these bats aren’t very suitable for the inexperienced players. The end loaded bats are more powerful and durable which make them perfect for hitting much harder. Although they can get pretty good speed, they can’t achieve a great speed that balanced bats can. The same material is used throughout the entire design. One-piece bats are stiffer and stronger so if you want a bat that has a minimum flexibility, this one is the right choice. With the two-piece bats, the handle and the barrel are bonded together which results in less vibration in the handle. At the point of contact, the barrel tends to flex creating a trampoline effect. To start off, you need to consider a few important things while selecting the best fastpitch softball bats. But before beginning our discussion, we would like to point out an important factor here. 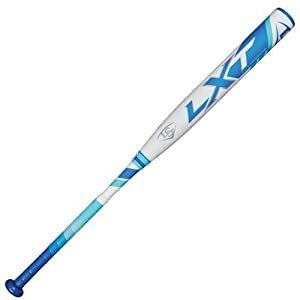 You should remember that most of the time while talking about fastpitch softball bats we are actually talking about girls’ softball bats as fastpitch is mostly played by females. Now let’s get back to our analysis. There are many varieties of fastpitch softball bats available in the market. These bats differ in material, design and technologies used in their construction. Typically, fastpitch softball bats are made out of aluminum or composite material. Aluminum ones are light in weight, have greater trampoline effect but are not as durable as composite ones. Composite bats, on the other hand, are generally preferred over aluminum ones as they have larger sweet spot and flexible handle. You might get confused by the drop weight that is used to distinguish between different fastpitch bats. For a given bat, Drop Weight is simply weight minus length. It attains a value between -8 to -13. Youth players can choose bats that are 26 to 32 inches long. For adult players, fastpitch bats are available in lengths from 30 to 34. Depending on the league you are playing for your bat should have the stamp of approval from the association that is holding the league. Famous fastpitch softball leagues include ASA, USSSA and NSA. Carefully look for the stamp on your bat. Fastpitch bats are manufactured and sold by high end brands to the local ones. The prices tend to vary as well. Your budget will determine the bat you will get. Listed below are three primary mistakes that players make during the process. Remember not to focus on the color of the bat while choosing the best fastpitch softball bats as it is of trivial importance and it does not help you in any way while playing. If one of your teammates hits homeruns with a particular fastpitch bat that he loves, it doesn’t mean that you will be able to hit with the same ease. You should try to swing a bat before purchasing it. Avoid buying bats that are too heavy as they tend to create problems for you once you are in the field. Remember the heavier your bat, the slower your swing, greater the advantage to the pitcher. Finally keep in mind to check in with the league and association that you are playing for and know their rules and regulations. Any violation of these rules may lead to your disqualification from the game. Now that you are familiar with all the factors and features you should look for in order to buy a bat that will take your game to the next level, we present you these two sizing charts where you will find the right length for you. Before concluding our guide, there is one more thing we suppose that you all should know in detail and that is the sizing i.e. the kind of bat length most suitable for you according to your weight and height. The first chart shows bat length by age, so it’s easy readable chart. 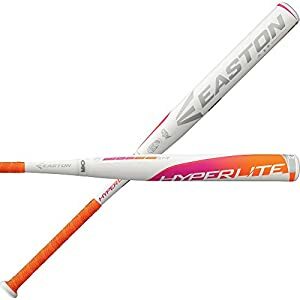 For example, if you want to choose the best bat for your daughter that is 8 years old, you should choose the bat that is at least 26 inches long. The second one shows the bat length by players’ weight and height. To determine the right length, you simply match your height and your weight and you’ll get the suggested length for your bat. Given below is an easily readable size chart that can help you while you decide upon which bat to purchase. If you are looking for a fastpitch bat for your little angel whose 5 years of age, then you should go for a 24 inches long bat as highlighted in the table. By doing similar calculations you can find the right bat sizing for yourself. For example, if you have a height of around 5.9 feet that is 70 inches and you weigh less than 80 pounds then you choose a bat with 31 inches of length. As children grow up their height and weight also varies. So as a parent you might want to replace your kids bat more often than the ones you purchase yourself. What is the difference between baseball and softball? To start with this question because the people who are new to Softball sometimes get confused about the differences between these two games. So, to make it simple and straight to the point, the softball is a variant of baseball where a larger ball is used on a smaller field. Don’t get confused by the name, since the ball used in softball is anything but soft and it’s about 8 cm larger than a ball used in baseball. There are three types of softball: fast-pitch, slow-pitch and modified. What types of bats there are? It’s up to you which type you will choose, but you should choose the one that you can control and the one that simply feels right for you. Experts suggest that it’s always better to try out three or four bats (you can borrow them from other players or if you’re in the store just hold them to see what it feels like) in order to realize which bat will suit you the best. Which bat provides the largest sweet spot? Although the term “sweet spot” sounds complicated and people often don’t have a clue what is it about, this term actually refers to a hitting surface of the bat. That being said, a larger barrel diameter offers a larger hitting surface which results in a better performance. Which type of bat requires a break-in period? On one hand, we have composite bats that may require a break-in. In case your bat doesn’t have optimal performance, we suggest about 50 swings for breaking-in. On the other hand, we have aluminum bats that don’t require any break-in period and they can be used in a game right away. What's the best brand for Fastpitch Softball bats? Since there are a lot of great brands out there, choosing the best one isn’t quite easy for us. So, we decided to choose some of the best brands in the world of Fastpitch Softball bats. The brands would be DeMarini, Louisville Slugger, and Easton. DeMarini – In 1989 Ray DeMarini founded a company. As it turns out, the company became very successful and known for the first multi-wall bat in the world called the Doublewall. Keeping up the great work through all these years is certainly a challenging task, but DeMarini definitely manages in achieving that. Luckily, it doesn’t seem like DeMarini is going to settle down. The reason why this company finds a place among the best ones is because of its dedication and creativity which definitely continues to contribute to a better game both in baseball and softball world. Louisville Slugger was founded in 1884. This brand not only understands the needs of the players around the world but more important, it creates high-quality equipment that definitely impacts the maximum performance in the game. Moreover, this extraordinary brand is the one that is famous for creating the first three-piece bat technology. With that being said, it’s not a surprise why Louisville Slugger had left its mark on the baseball and softball world. Although Easton was founded in 1922, in 1969 the first true aluminum bat was produced. After that time, the company keeps giving its best to the world of baseball and softball. Being constantly innovative and original, the company managed to fit the needs of various players through all these years. Some people don’t take instructions seriously, and guess what? They end up with a damaged bat and what is even worse they end up complaining about the quality of the bat. And we know that even the best bats, if not taken care in a proper way, will eventually damage or break. So, keep in mind that if you want to have a durable bat, you have to take a good care of it. We single out some tips and instructions on how exactly to do that. When cleaning your bat, you should use only water and mild soap. You are the only person who should use your bat, not anyone else. So, no, you cannot lend it to your friends if you want a durable bat. We advise you to check on a regular basis if there is any damage on the bat. I assume you don’t want to hurt yourself or others, so to avoid that, check up on the bat carefully. Your bat shouldn’t be used in cold weather because temperatures below 60 degrees Fahrenheit ( 15 degrees Celsius ) significantly increases the hardness of balls. So, there you have it, everything you should know before buying the bat that will bring your game to the next level. Like we mentioned, the listed bats are the best ones, you just have to pick out the one for you or your kid. You should go through our guide carefully and we advise you to pay attention on tips so you can keep your bat in life as much as possible. And here comes the best part: it’s finally time for buying the bat that you will love and appreciate and we believe that the two of you would make a great team, so enjoy the shopping. As the game of baseball and softball has increased in popularity, the development of baseball softball cleats has also developed to address the specific needs of players of this sport. In the beginnings of the game, players would use cleats designed for other sports as softball cleats were not manufactured yet. These football and soccer cleats may have worked to an extent, but current softball cleats are much more effective as they deal with the many conditions found in only the game of softball. The two main types of slowpitch and fastpitch softball cleats are dependent on the type of spikes used on the soles of the shoes. Both rubber and metal softball cleats have certain benefits for players. The rubber spikes are generally less expensive shoes and are great for both training and actual softball matches. Those cleats with metal spikes are mainly used for game situations and can be more expensive than the rubber versions. However, softball players report that the metal spikes provide a higher level of traction and support for the foot. In addition, these types of girls and mens softball cleats may have better resistance to typical wear and tear. The rubber spikes of some shoes can be eroded away by general use whereas the metal spikes can be replaced, thus extending the life of the shoe. Girls softball cleats are usually somewhat narrower than mens softball cleats as to better fit the feet of women players of the game. More superior pairs of softball cleats have other features that can improve the performance of a player. A good pair will feature a leather upper that fits better than synthetic materials. Also, a removable insole may be part of the package to add to a player’s comfort. Another feature of many good softball cleats will be some sort of mesh that allows ventilation of the feet and prevents sweat buildup within the shoe. These linings may also have a layer of anti-microbial material that inhibits the development of fungus and bacteria that thrive in warm and wet conditions such as the inside of a player’s shoe. As with any piece of equipment, a player should evaluate several pairs of mens or girls softball cleats to determine which pair will provide the best features and fit on an individual basis. With more and more players being introduced to softball, cleat manufacturers will come up with more features that allow athletes to play the game at their peak potential. From the days when players used any type of shoes that worked, modern baseball softball cleats have evolved to meet the demands of the game’s players. Youth softball equipment bags are helpful in making sure that all the necessary items accompany a player to practice and games. Baseball softball equipment bags come in a variety or styles and sizes and have special pouches that house a players bat. While the given bat and glove are required for play, some players require additional protection. Softball sports equipment includes cleats, the proper uniform, and batting helmet. In some leagues, infield helmets are also required. Softball catchers equipment lists are even larger containing shin guards, full coverage helmets with masks, and chest guards. Fastpitch softball equipment is the same as slow pitch. All batters in a fast pitch softball game is required to wear a hat while batting. In slow pitch helmets are mandatory for youth players, but are optional for adult players. Softball catchers equipment varies between fast and slow pitch games. Only at the adult level, slow pitch players are allowed to go without a catcher’s mask. Even though it is recommended, fast pitch players can opt to go unmasked at the adult level as well. Any player can chose to wear a mask even if they are not a catcher to prevent facial injuries, but the mask must adhere to regulations. Other equipment that is common for softball players are slider pants. They are worn under shorts and are built with extra padding to protect players who slide into the bases feet first. They are not required, but are recommended. Depending on the players position on the field, fastpitch softball equipment will differ. Defensive players are required to wear fielding gloves, while first basemen and the catcher use mitts. These mitts differ from gloves based on the extra padding to protect the hand from the extreme pace of the ball. Softball rules state that gloves can not be the same color as the softball, even the stitching. Softball gloves are generally larger than baseball gloves since the size of the softball is bigger than that of a baseball. The size of the ball changes depending on the division of play. Bats are made with larger barrels than for baseball so that there is more room for contact. Each team is provided with a rules and regulations book at the beginning of each season to ensure that the players equipment is legal. There is a range of equipment sizes that are legal to insure that each player can find the best bat and glove for their level of performance. Youth softball equipment bags are necessary to keep up with all the required pieces. Female athletes that have not yet tried the sport of girls softball are certainly missing out on lots of action. This game is experiencing a rapid surge in popularity and girls youth softball is drawing players from early ages to learn and compete in the sport. Played in the same manner as mens softball, there are several key differences. While the majority of mens softball teams play the slowpitch variety of the game, all-female teams usually play girls fastpitch softball. This influences how the game is played in a dramatic fashion. While slowpitch is mainly geared to hitting long balls and home runs, girls fastpitch softball is a more complex game, featuring extensive and complicated strategical maneuvers. In addition, the role of pitcher is greatly magnified. Strikeouts are a rare occurrence in the slowpitch version, but a successful pitcher playing fastpitch softball can record a number of strikeouts per game. Another major difference between girls and mens softball is the level of competition. Many mens leagues are simply for recreation between church or business teams. On the other hand, girls leagues for softball are a primarily competitive endeavor with recreational leagues typically only found in the early girls youth softball leagues. Girls softball uniforms can be found for teams at every age level. The beginning teams for younger girls are mostly recreational, but as the girls grow up and improve their skills, there are more serious options available to good players. Club teams exist that play tournaments all year. It is at these tournaments that college and university scouts look for good players. A strong competitor can play well in one of these tournaments and then find herself wearing one of the girls softball uniforms from her favorite school with a full scholarship. Competition at the college level can be very tough as many teams compete for the chance to be called national champion. In international competition, the teams from the United States and Japan are two of the best. In the 2008 Summer Olympics, the American team was able to take the gold medal while Japan netted the silver medal for their strong performance. The USA Junior Women’s team was also able to take a world championship at the 2007 tournament in Europe. Other countries such as Australia and China are fielding good teams and positive results are expected from these squads in the near future. The next major championship for girls softball will be the 2010 World Championships which will take place in July in the South American country of Venezuela. USA softball team names a new roster each year before the season begins. These fastpitch softball teams participate in a number of different invitational tournaments or competitions throughout the season. The year 2009 saw these teams play in four major competitions with teams from around the world. Many of the players on these fastpitch softball teams have the opportunity to represent their country once every four years when the summer Olympics come around. The United States team earned the silver medal in this competition and held its place among the worlds best fastpitch softball teams. Having won the gold medal in the three previous competitions, the Olympic committee has decided to remove the sport from the 2012 games. Slow pitch softball team participation is most commonly seen at the youth level. The first US softball team competed in 1965. A team from Stratford Connecticut won the National Championship in 1964 and was chosen to represent the country in the first ISF Women’s World Championship. By 1990, the champions were no longer automatically gifted the privilege of representing the US. Instead, the ASA (American Softball Association) decided to follow suit of other countries and pick a group of all star players to be their representatives. In 1991, the ruling was made to include softball in the summer Olympics and the Atlanta Games in 1996 saw its first game. Since that moment, the US softball team has earned number Olympic medals and a total of seven World Championships. The World Cup of Softball has been created to make up for the loss of Olympic slot and will host the top countries in the world. The original game in 2006 took place in Oklahoma City, with the game changing location each season. The 2010 championships will take place in Venezuela. This event has quickly established itself as the premier event in the softball community. As the fan base for the sport grows, the hopes that it will be allowed back into the Olympics is the goal of the entire softball community. National teams are built each year for both a men’s and woman’s league. Many of the players return each season, building a strong bond and a team built with amazing talent. Camps and clinics are held throughout the summer to provide tips to youth players who are looking to perfect their level of skill. The advice of players who have accomplished so much is beneficial to any player. The USA softball team names its coaching staff and players for the up coming season and requires their participation at these clinics. When choosing the softball bats, you will face trouble selecting between end loaded and balanced bats. Therefore, we are representing a brief idea about both of the types so that you can take your decision quickly. End loaded softball bats is one of the best selection for the professional players in the field. However, there are certain things that you will require to use the bats. This is important to handle the end loaded bats properly in order to play with it because most of the players are not familiar to it. End loaded softball bats is a type of softball bat that has extra weight at the end portion of the bat. In short, the weight of the softball bat is high than a balanced bat. Therefore, you will need to handle the bat perfectly so that you can use it to hit the ball harder. This is a high performing end-loaded fast pitch bat offering -10 swing powers to the players. This is a double wall composite design with an end loaded structure to give you the best hitting power. Don’t worry about the barrel because the 3Z technology increased the performance level of the bat. Cylinder seaming technology in the fastpitch bat increases the durability of the bat too. This is a powerful bat for the youth teams. The aluminum alloy made bat give the perfect hitting ability to the players. Moreover, the 31/32-inch handle with cushioned grip will always enhance your confidence while playing. Don’t worry about the weight because this is good for swing with a greater initial speed of hitting the ball. Balanced softball bats are amazing to play in order to get the best performance in the game. You will get flexible playing time along with good movement using the bat. 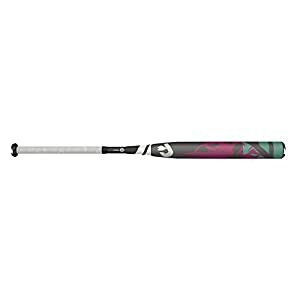 The balanced softball bats is one of the best kinds of bats for the softball players. This is a kind of bat with suitable weight, good initial speed, and perfect performance. The bats are structured perfectly where weight are balanced throughout the bat. 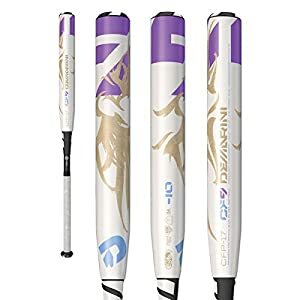 The softball bat is available in different swing options for the players, you will get Paradox Plus composite barrel to hit for a long distance. The D-fusion 2.0 handle is ergonomic friendly with double wall for better performance. The balanced swing option using the low pro end cap, you will have a great playing time. In order to select between an end-loaded bat and a balanced softball bat, you will need to consider the advantages and disadvantages of the bats. However, you can easily understand the fact by considering one fact. This is important to understand the end loaded softball bat. This is heavier than balanced bat. Therefore, you will need time to swing and hit the ball. If you are able to play with a heavy softball bat for a long time, the end loaded softball bat is for you. If you want to get comfortable playing option along with flexibility, then, you will need to choose the balanced softball bat. Measurement: The measurement of the bat is important thing to understand. You should not buy a larger softball bat than your height and age for you! Weight: You will need to measure the weight of the bat too. There are different bats available with different weights. Therefore, you will need to buy the bat according to your reasonable weight. You can’t play good games with heavier bats than you can handle. Size of the Handle: You will also need to know the right size of the handle. Normally, the size of the handle depends on the size of the bat. However, you will need to buy a good shaped handle bat so that you can play with it perfectly. Type: There are different types of bats, like end loaded bat, balanced bat and more. Therefore, you will need to consider the features, advantages and disadvantages of each bat so that you can select the bats very easily. 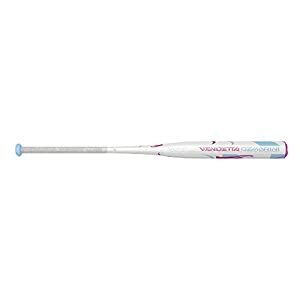 Hope, you will get good softball bat for your upcoming game. If you still face trouble to select the bat between an ends loaded bat and a balanced bat, feel free to ask.